According to the famous German physicist Arnold Berliner, scientists are "a cross between a mimosa and a porcupine": one part bubbly, intoxicating sweetness and one part prickly brawler. Along with their commitment to the intellectual pursuit of truth, to the great benefit of humankind, scientists know that the main ingredient in their career broth is Realpolitik. Without patronage come no rewards. Consider Arnold Berliner himself. Having lost his position at the German scientific magazine he founded in 1913 due to the persecution of "non-Aryans" by the Nazis, he took his own life in 1942, the day before his scheduled evacuation to an extermination camp. The accomplishments of his lifetime, which included German influence over all manner of scientific endeavors in the 1920s and '30s, were also nearly destroyed by the Nazi machine. Indeed history, even of science, is written by the winners. In Experiment Eleven, the new book by Peter Pringle (author of Food, Inc.), we see another tragedy of scientific politics unfold against the backdrop of New Jersey in the twilight of World War II. 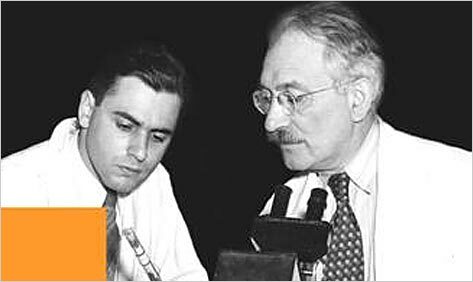 A mentor, Dr. Selman Waksman, betrays and reduces his student Dr. Albert Schatz to career rubble as Waksman seeks to claim all credit and related cash for the discovery of the wonder drug Streptomycin that halted the onward march of tuberculosis (TB).